"Narayan Niwas Palace provides you with international standard of services and luxurious accommodations which are well worth mentioning. The palace reflects the splendor and magnificence of the Rajput era. 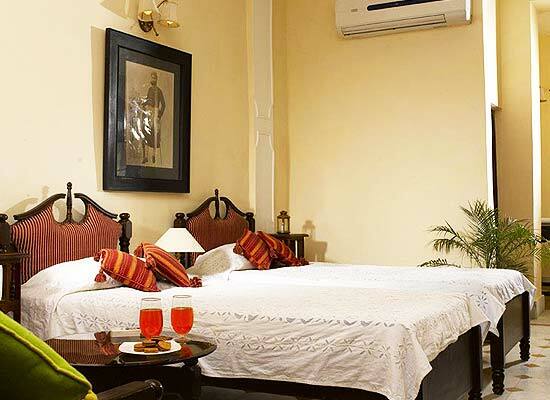 Narayan Niwas Palace is a 19th century ancestral property which has been converted to a Heritage Hotel. The hotel is elegantly furnished with a touch of royalty in every nook and corner. It is one of the best places to put up in Jaisalmer if you have a luxurious bent of mind and want to enjoy your money's worth. Narayan Niwas Palace provides you with international standard of services and luxurious accommodations which are well worth mentioning. 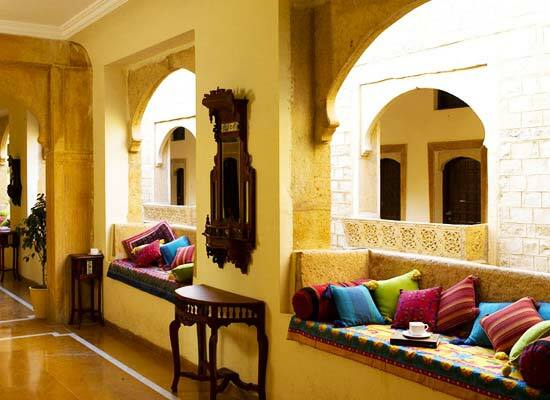 The palace reflects the splendor and magnificence of the Rajput era. The 43 rooms are refurnished with period furnitures, chandeliers, murals and motifs which have a royal ring to it. The rooms overlook the main center of Jaisalmer. All the modern amenities that are called for in life are present here. Each of the rooms are decorated with a separate theme. The modern trimmings and the ethnic trimmings blend perfectly and in no way do they seem jarring or forced. Have a pick of your favorite cuisine in Chinese, Indian or Continental from Gokhra which is the in house restaurant of Narayan Niwas Palace. 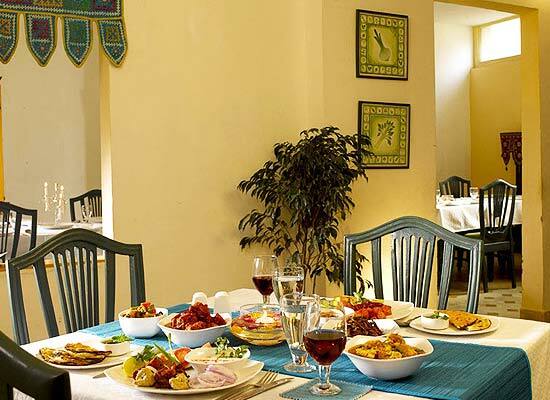 Nibble on the authentic Rajasthani cuisines in the restaurant. Dinner is followed by folk music in the hotel premises. Folk musicians play the score while you have a hearty dinner. The whole décor of the restaurant speaks of class and elegance. You can spend a leisurely evening with your friends in the Pagda bar. Jaisalmer is one of the most exotic cities of Rajasthan. Known for its many sandstone palaces, forts and temples, the city is thronged by tourists at all points of the year. 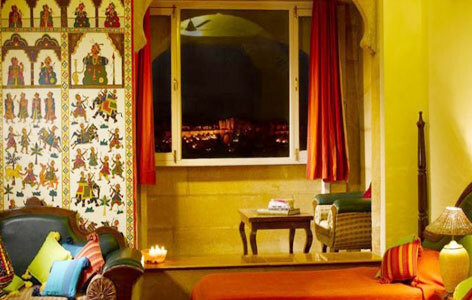 It bears testimony to the splendor and glory of the Rajput architecture and art. The local markets in Jaisalmer and the Rajasthani handicrafts shops are a favorite shopping joint of the tourists. You can also go to excursions to Lodurva, Wood fossil park, Sam Dunes from Jaisalmer.